This major city in the heart of Italy is a popular travel destination for both locals and tourists. The bustling, exciting, and picturesque city is one of the few in Italy that is free of tourist traps and money-grabbing attractions. The residents of this Tuscan city are friendly, humble, and eager to show you around. Florence’s skyline is like no other. Standing on top of Piazzale Michelangelo, you can overlook the whole city in its magnificent entirety. One of the top attractions in Florence is its iconic Cathedral, a medieval-style church located in the heart of the city. Tourists can walk up the towers and witness some of the most fantastic views of the city. The city is also known for its medieval and Renaissance art, including Michelangelo's famous masterpiece, the David. You can see the original sculpture at the Accademia Galleria in Florence. There is much to be seen in this beautiful city, and just a few days won't suffice. Since many of the attractions in Florence are located in the city centre, walking tours are a perfect way to see it all in a short amount of time. Check out some of the free walking tours that are available throughout the year, and enjoy everything that Florence has to offer free of charge! Florence Free Tours offers two tours of the city. 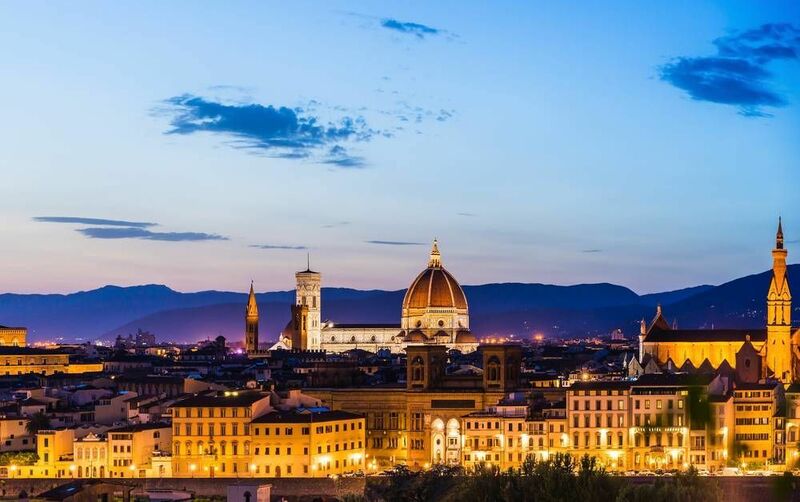 The Renaissance Tour will take you on an adventure starting from the Santa Maria Novella Church to the Duomo, and finally reaching the church of Santa Croce. The Medici Tour, will cross the river and show you the Ponte Vecchio (Bridge) as well as the Palazzo Pitti. Both tours are guided in fluent English, and last for about 1.5 to 2 hours. Another great option for seeing the city is by designing your own tour using the Budget Traveller's Self-Guided Walking Tour. This cleverly designed tour crosses through all the significant landmarks in Florence and allows you to control for how long you want to walk. Pick and choose the attractions that you want to hit if you are short on time, or take a long lunch break in the middle! Below you can find more popular (but not free) activities and tours in Florence. Are you from Florence and want to be a tour guide? Please get in touch by submitting your details on this page!